Sometimes you need a really small tripod, like for taking a "selfie" (picture of yourself) with a smartphone, or (in my case) as a stand for a digital audio recorder. The usual mini tripods (even the smallest GorillaPod) are a bit clunky. 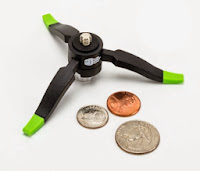 A cool alternative is the sleek, neatly folding Jelly Legs Micro Tripod by Square Jellyfish. The legs can be adjusted and locked for uneven surfaces. There's even a micro ball head available, and a bracket to hold your smartphone. Recommended. A good, affordable tripod for general purpose photo and video use that's relatively light in weight but still solid is the SLIK U8000 Photo/Video Tripod. Features: 3-way fluid effect pan head. 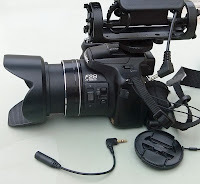 Quick release shoe for easy mounting and removal of camera or camcorder. 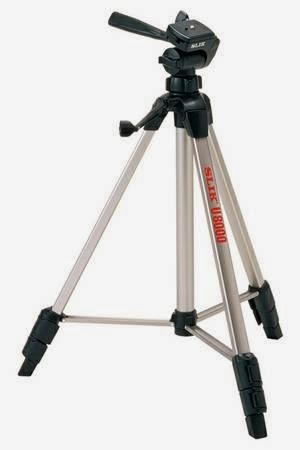 Oversize, single action, speed release leg locks for adjusting tripod height in seconds. Geared center column. Length folded 23 1/4 in, Height extended 59 1/12 in, Extension center column 11 5/6 in, Weight 3 lbs 5 oz. Recommended. As predicted here in Windows 8 Preview, Windows 8 has been a big disappointment, confusing users and contributing to poor sales of Windows personal computers and tablets. 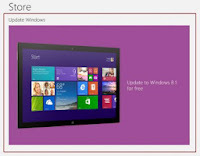 Microsoft has attempted to respond to some of complaints with Windows 8.1, a free update, which restores the ability to boot to the familiar desktop and a Start button of sorts, but it failed to address other big issues, and missed opportunities raised here in Windows 8 Misses the Mark except for better integration of SkyDrive cloud services. That started the update process, which is quite lengthy, in part because the update is a huge 3.6 GB, a long download even on a fast Internet connection. Even when the download is complete, the update is still a lengthy process, even on a fast system, as it slowly steps through checks, installs, configuration, etc. Problem 2: Finally, well over an hour into the process, it rebooted, but instead of starting Windows 8.1, it started checking the hard disk for errors (despite the disk being error free). After a long process it rebooted, and again started checking the hard disk for errors, repeating the same long process, but after another reboot, it then displayed "Restoring your previous version of windows". So yet another long process, followed by a reboot back into Windows 8, whereupon it reported that Windows 8.1 update had failed due to error 0xC1900101 - 0x30017 (a singularly unhelpful message, but again, that's Microsoft). Update all devices drivers to versions known to be compatible with Windows 8.1 (link). Check all software for compatibility with Windows 8.1 (at vendor and Windows Compatibility Center), and remove any that are incompatible. Disable all non-Microsoft services with msconfig (System Configuration) during the 8.1 update. (Click Services tab; check Hide all Microsoft services; then click Disable all.) Reverse process after the 8.1 update. 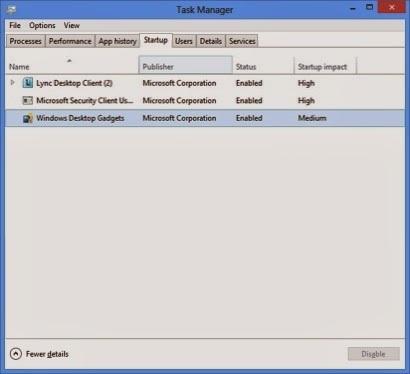 Disable all non-essential Startup with Task Manager during the 8.1 update. (Click Startup tab; select all items; then click Disable.) Reverse process after the 8.1 update. In this particular case, Dragon NaturallySpeaking version 11 was identified as a possible problem in Step 2, so it has been removed (along with some other non-essential software). Unfortunately, the huge update has to be downloaded again (why?! ), so it will take some time to find out. Microsoft Account part 2: Some apps in the Store ask you to login to a Microsoft Account. This is actually only necessary for paid apps. Default printer was changed by the update from the Epson printer installed on the computer to Microsoft XPS Document Writer. It was simple enough to change back, but this should not have happened. 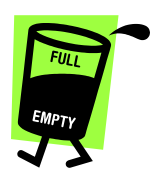 One of the annoyances in Microsoft Windows is the lack of a good built-in tool for managing disk space like the crude but effective UNIX (Linux) du utility that displays directory (folder) sizes. True, there is the Sysinternals Disk Usage utility, but it only reports usage for a single directory, which isn't terribly helpful when you need an overall picture. Comprehensive multi-pane text display, but lacks helpful graphics. Explorer shell integration. No cleanup capability, just deletion. Print capability. No menus, just toolbars. Fast. Very good. Simple hybrid text and graphics view. Administrator mode. Threaded for speed, very fast. Print capability. Integrated update check. 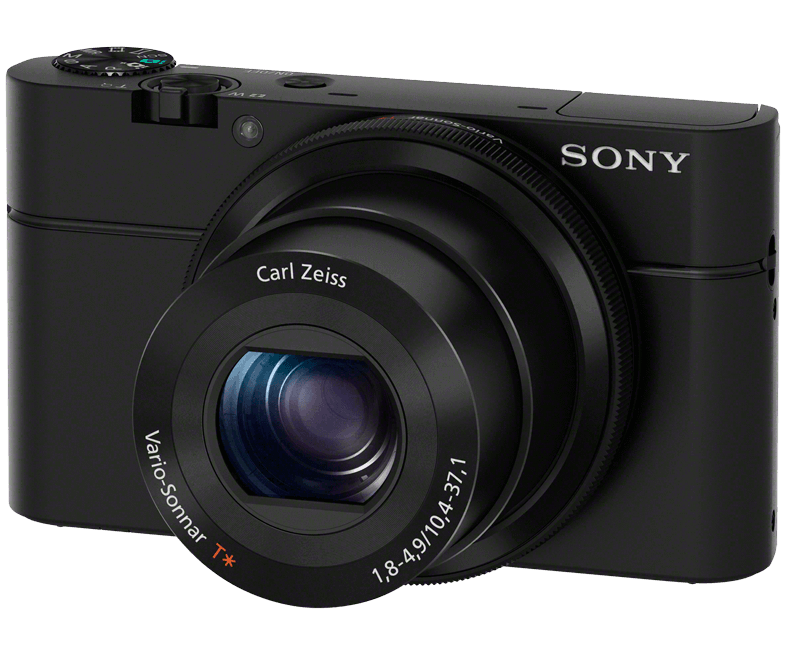 Limited, paid version more capable. Good. Clone of Linux KDirStat for Windows. Small and efficient. Threaded for speed, fast. Useful (and colorful) "treemap" display. No Explorer shell integration, but can be hacked manually. Cleanup capability. No print capability, but can email report. Recommended. In October 2013, without warning or real explanation, eBay users discovered that saved searches had been changed to "searches you follow", and saved sellers changed to "sellers you follow", together with other changes along the lines of social networking. In the process, important buyer functionality was removed, including the abilities to rename searches and to add notes to searches. Sellers: This new experience puts great new tools in your hands for driving sales and developing loyal, repeat customers. You can use the new collections, following, and eBay profile to transform moments of inspiration into purchases of your great inventory. We’ll also be introducing new features and an exciting new look for your eBay Store. From bigger, bolder listing images to new ways to spotlight inventory and share on social media, subscribers will soon have even more tools available to them to turn browsers into buyers. All sellers will have this option by the end of January 2014! Whether you buy or sell on eBay—or both—we encourage you to explore these new features, to tap into your passions and expertise to create collections of items for others to explore, to follow collections of our curators, valued sellers and eBay members, and to connect to the things you need and love. In other words, it's all about Amazon (Newegg, etc). This isn't about buyers -- this is about sellers, and further transitioning eBay from a peer-to-peer auction site into a marketplace of storefronts. In the process, users are being transitioned from goats (buyers) into sheep (consumers) that follow sellers, curators, and other buyers. So tools that helped buyers to find what they want to buy are being replaced with tools that push consumers to buy what sellers want them to buy. Welcome to the brave new world. There won't be any going back unless a great many stop using eBay (which probably isn't going to happen), so goats (real buyers) will have to look someplace else. Sellers are the eBay customers. Buyers are the eBay products. 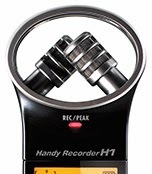 When my video needs high fidelity audio, I normally use the compact Zoom H2 recorder, selecting microphone pattern and adjusting level with the built-in meter to fit the particular acoustic environment. I place the H2 as close as possible to the audio source. I typically record WAV-48kHz-16bit. While the H2 is capable of 24bit recording, I've not found a significant difference over 16bit recording in carefully controlled tests, and 96kHz is only needed for critical mastering. When I convert for YouTube, I encode video with AAC audio at a variable bitrate of 192 Kbps. If the capsules are mounted in parallel (side by side), they will have largely overlapping patterns with poor stereo imaging. 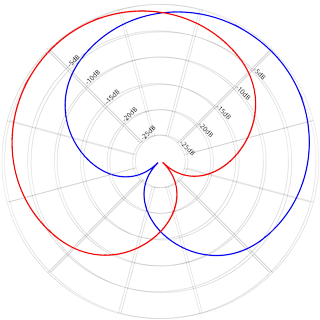 A more common arrangement is with the two capsules angled 45° to the left (red) and 45° to the right (blue), 90° angle between them, which results in much better stereo imaging, but with much more side and back pickup of sound/noise. Thus with a stereo camera microphone, generally speaking, you're either not going to get good stereo, or you're going to risk pickup of extraneous sounds from sides and rear, or both. 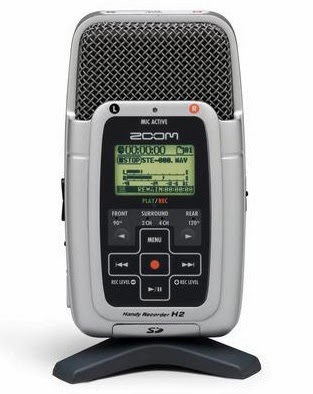 This is why for high fidelity ambient sound I prefer to use a good external recorder like the Zoom H2. 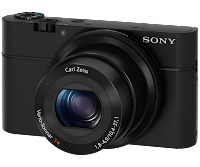 Many digital cameras are capable of good video recording, but typically have poor microphones (and noisy preamps) that produce poor audio. For cameras with audio input jacks, an external microphone can be used to greatly improve audio quality. Thin sound. Lacks shock mount. Lacks continuous power on light. Not recommended. 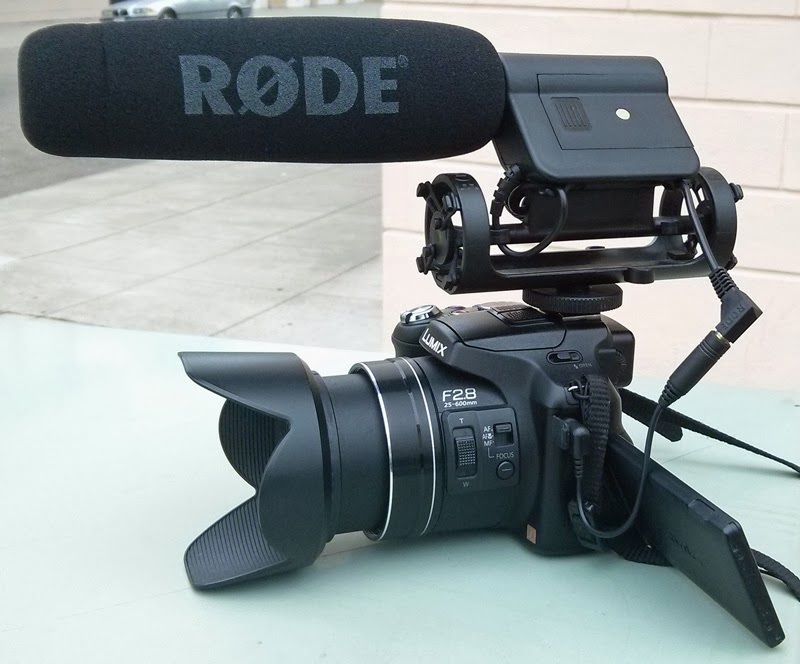 Re-branded RØDE VideoMic (original version) at much lower price. Includes wind muff. Best buy. Good sound. Good directionality. Output level pad. Switchable noise filter. Good shock mount. Plastic construction. 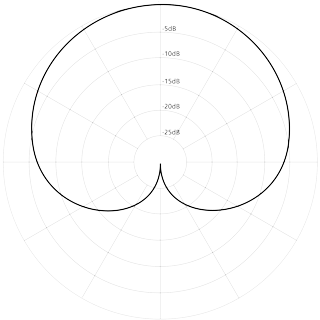 May pick up RF interference (e.g., from GSM cell phones). Original version pictured above; new version has red Rycote Lyre Suspension System. 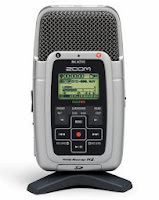 Good sound (about the same as original VideoMic). Good directionality (although not quite as good as original VideoMic). Output level pad. Switchable noise filter. Fragile shock mount. Plastic construction. May pick up RF interference (e.g., from GSM cell phones). Compact. Fairly expensive. Thin sound. Good directionality. Fragile shock mount. Metal construction. Switchable noise filter. Lacks continuous power on light. Not recommended. Very good sound. Output level pad. Good directionality. Switchable noise filter. Metal construction. Good shock mount. Resistant to RF interference. Compact. Expensive. Best. Same as VP83 LensHopper plus high-quality integrated flash memory recorder, great for cameras with automatic level control. Best. Decent, but could and should be better for the money. Good sound. Output level pad. Switchable noise filter. Fairly expensive. Very good sound. Output level pad. Switchable noise filter. Expensive. Use a wind muff ("dead cat") to reduce wind noise when outside. 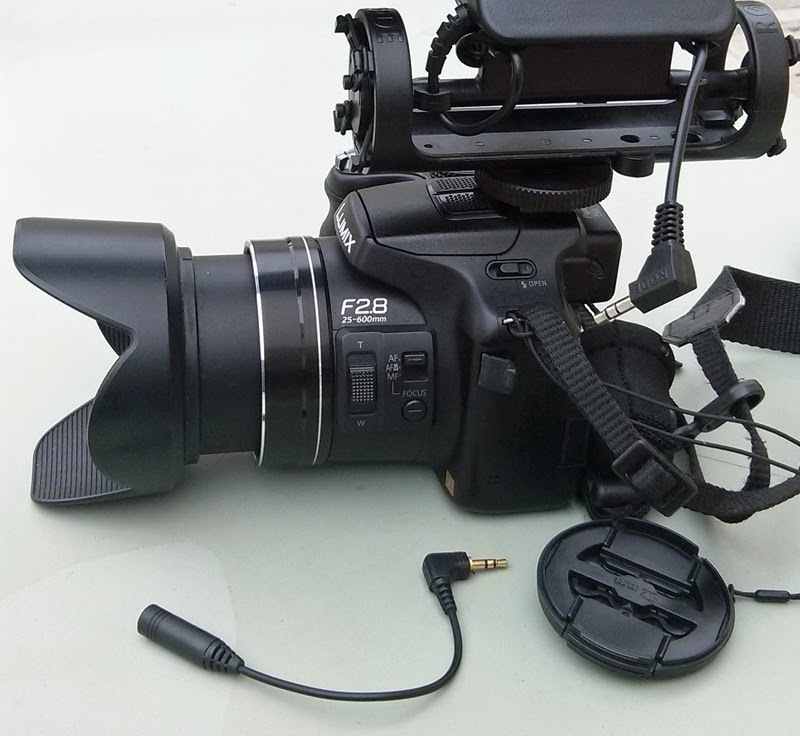 Bronstein WM-21 Wind Muff is good, inexpensive, and will fit the RØDE VideoMic (and Opteka VM-100). Get as close to your subject as possible. Directional microphones are not like telephoto lenses - they don't amplify sound - they just reduce extraneous pickup from sides and rear. 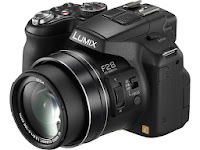 Use highest output level without distortion to minimize noise pickup from cable and camera. 2.5mm male to 3.5mm female headphone adapter cable will be needed for cameras with 2.5mm sockets. 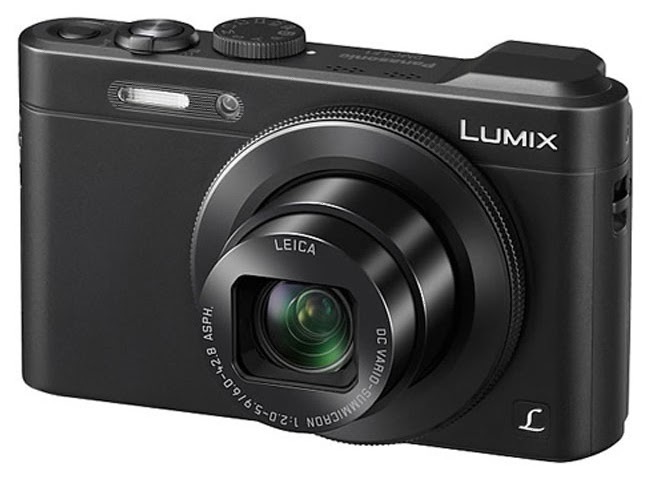 Best output pad setting I've found for RØDE VideoMic (and Opteka VM-100) on Panasonic Lumix DMC-FZ200 is -10.